Postcard 'A Picked Guard of Honour. 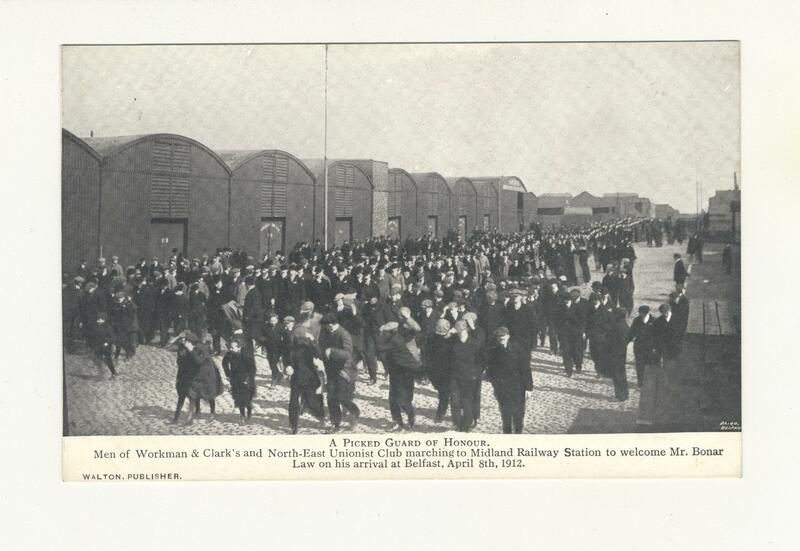 Men of Workman & Clark's and North-East Unionist Club' marching to Midland Railway Station to welcome Mr. Bonar Law on his arrival at Belfast, April 8th, 1912. Published by Walton.